In this week's Chess Corner, Paul Lam explores the intricacies of opening theory, and looks at the role of intuition in chess. The question of how to play the opening in chess was once one that hardly vexed leading players. The classical school of opening theory, emphasising the need to occupy the centre of the board with pieces in order to control the game, represented the accepted wisdom of the time. Right up to the early twentieth century, the overwhelming majority of players still subscribed to 1.e4 e5, and on occasion 1.d4 d5. Deviating from this path alone was regarded as a sign of eccentricity. The ‘Hypermodernist revolution’, inspired by the likes of Nimzowitsch and Reti, and emphasising control of the centre from afar with long-range pieces rather than direct occupation with pieces, was the first major movement within chess to challenge this orthodoxy. Today however, chess opening theory has evolved to such an extent that if even Nimzowitsch were to observe the games of leading contemporary GMs, he would probably fall off his chair in shock. The tree of chess opening theory is vast and continuously growing, its branches thick and numerous. These proportions have given rise to a wealth of literature dedicated to uncovering the secrets of opening theory; hundreds of pages alone may be dedicated to the analysis of a single complicated sub-variation. It has also given birth to a weird and wonderful lexicon that I’m sure raises eyebrows amongst non chess-players! Some may have heard of the King’s Gambit or the Sicilian Defence, but what of the Bogo-Indian, the Accelerated Dragon or the Poisoned Pawn Winawer, to mention but a few? 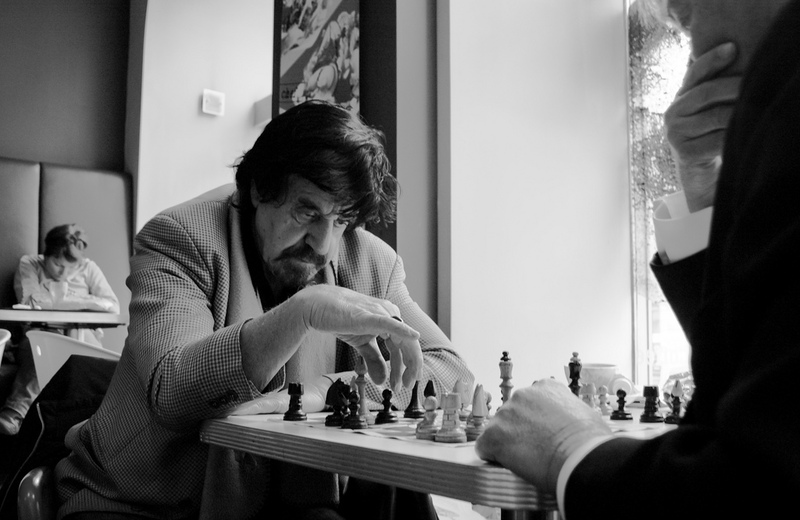 The attitude of the great players towards chess opening theory has varied. Samuel Reshevsky, a player of supreme natural talent but questionable work ethic, had notoriously bad knowledge of opening theory. In contrast, some players, like the late Lev Polugaevsky, distinguished themselves as master theoreticians, willing to invest hours of painstaking analysis overnight to find the one move that could make all the difference in the game to follow the next day. In the last two decades however, commercially available chess programs have transformed opening preparation for amateurs and professionals alike. What might have once required hours of painstaking analysis continuing late into the night can now be achieved at the click of a button. When you also consider that the games of virtually all FIDE-rated players can be found by their opponents on databases, it is easy to understand why no professional chess-player at the highest echelon of the game today can possibly afford to neglect opening preparation. At a level where the slightest inaccuracy will not go unpunished, and where one’s livelihood depends on the outcome of your games, it is absolutely essential. But what about mere mortals like ourselves: enthusiastic amateurs without the time or inclination for hours of theoretical study? I once knew someone who was a very keen player, but a slow learner. He decided that in order to reach the heights he aspired to he would have to master the deepest secrets of mainstream opening theory. It resulted in an absurd situation in which he knew certain variations of the Sicilian Defence better than I did, but was still losing games due to elementary blunders. His response was to berate his fellow amateurs for playing rubbish against him instead of entering his favoured Najdorf Sicilian and allowing him to play real chess! That most players of his strength would have rarely played the Sicilian in response to 1.e4, let alone have had any idea of what the Najdorf variation is, failed to register with him completely. When I first met him, he had a grade of about 100 BCF. Four years later, he was still the same grade. I digress. Ultimately, real satisfaction in chess comes not through memorising what you read in ‘Modern Chess Openings’, ‘Informator’ or the fruits of Fritz’s analysis, but challenging your own powers of thought to find imaginative and creative solutions over the board. While it is true that memorising reams of theory can save vital time in the opening when under the constraints of the clock, this automaton-like approach can just as easily lead to disaster, even for the world’s best. The recent horrible fate of Dutch GM Loek Van Wely in a game against American GM Hikaru Nakamura is a cautionary tale. On the black side of the Poisoned Pawn Variation of the Najdorf Sicilian, Van Wely went horribly wrong by blundering with the move 12….Nd7 and was crushed in 17 moves (see the puzzle at the end of this column). Incredibly, Van Wely was familiar with this entire variation, having annotated it for the magazine ‘New In Chess’, in which he had come to the correct conclusion that 12….Nd7 was a mistake! It was a classic case of a player having done his homework but then forgetting his conclusions over the board. There is no doubt that he could have, and should have, avoided losing in such embarrassing fashion. So what is the solution to the dilemma we are faced with? I believe that the answer lies somewhere in an area that I mentioned briefly in my first column, namely ‘intuition’ in chess. Despite its undoubted importance, intuition is a relatively unexplored aspect of the game and an accepted definition of chess intuition has proved elusive. It is interesting that many leading chess-players are unable to articulate their understanding of intuition in chess beyond a description of an irrepressible gut feeling. In the words of the world number one, Magnus Carlsen, ‘Sometimes a move just feels right’. These are assessments based on reason, but they also represent themes which I and many other players have become familiar with through experience, to the extent that they have become programmed into one’s long-term memory. It was therefore never a case of logical reasoning or experience-based knowledge being transcended. Nor did it demand the assimilation all of these themes within the space of milliseconds over the board (as some might assume Grandmasters are in the habit of doing); they had been assimilated a long time ago. I am of the belief that it is better to learn chess thematically than theoretically, and that no amount of theoretical study can compensate for the experience that can be gained from simply playing the game and from trying to understand the reasons behind moves. While this is true of all phases of the game, it is particularly pertinent for the opening. Kasparov once noted that there was a difference between ‘playing chess’ and ‘playing moves’. In my view, this rings true in an era in which there is an ever-growing dependence on Fritz and other forms of computer-based assistance amongst players, along with a reliance on rote-learning rather than properly understanding opening principles. Let me stress that I wouldn’t wish to begrudge anyone aspiring to master highly theoretical openings, such as the Sicilian Defence. Having played both the white and black side of the Open Sicilian myself, I can testify to the sensational possibilities available in an opening in which the ingredients for a classic encounter are abundant. Neither would I wish to deny the benefits that chess programs such as Fritz can bring to a player’s development. However, when knowledge of theory is not matched by proper thematic understanding or when players overindulge on silicon instead of pursuing a balanced chess diet, this is surely a recipe for disaster. Lest we think that only mere mortals should tread carefully, pay heed to the horrible fate of Loek Van Wely. Don’t rush to be a knight of the Sicilian Defence and risk ending up falling on your own sword. It is exceptionally rare for a grandmaster of Van Wely’s class to lose so quickly. 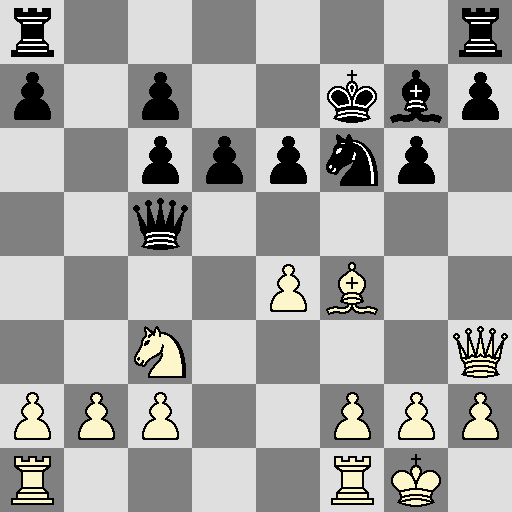 What move did Nakamura play here to force Van Wely’s resignation? Solution to follow in the next column. Solution to previous puzzle: 27…Rxh3!! Pure brilliance from Miles. White’s Kingside pawn structure is shattered after this superb rook sacrifice and despite his material advantage his pieces are simply not well co-ordinated enough to defend. Clearing the way for the Black rook to enter the fray. 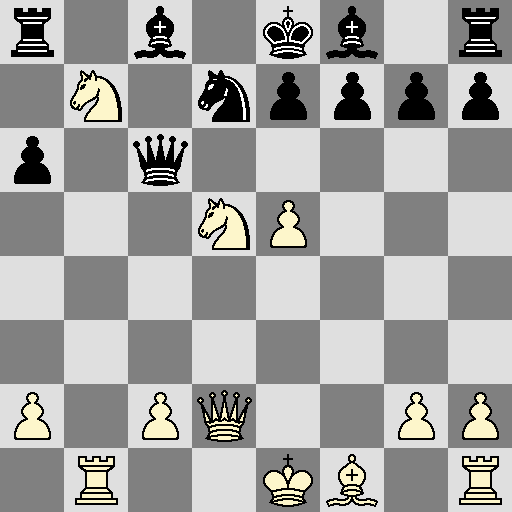 29.f3 Rg8+ 30.Kh1 Qh4 0-1 Mate is unavoidable. Is it Nd6. Then Ke2?? Nakamura-Van Wely, Rb6 puts the tin hat on it.